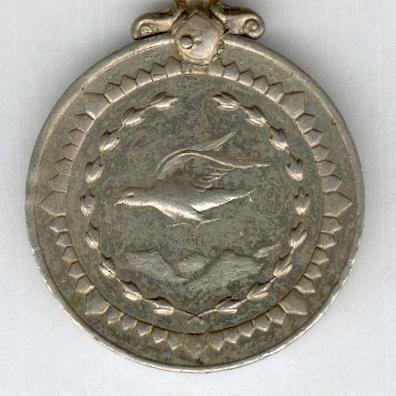 Circular cupro-nickel medal on claw and ribbon bar suspension with original clasp inscribed ‘Sri Lanka’ in Hindi characters; the face with the Ashokan Lions above the Indian National motto ‘Satyameva Jayate’ (Truth Alone Prevails) centrally, circumscribed ‘SPECIAL SERVICE MEDAL’ in Hindi and Latin characters within a border of stylised lilies, all within a stylised sunburst; the reverse with a falcon above a mountain range centrally within a border of stylised lilies, all within a stylised sunburst; attributed on the edge to ‘1555008 L HAV. 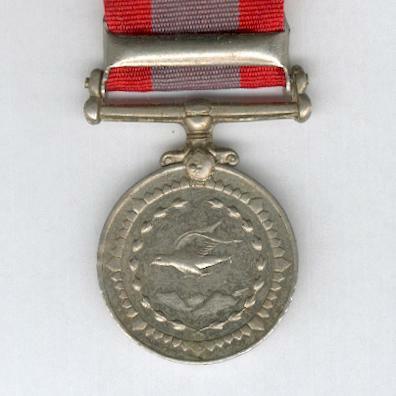 A. SINGH BOMBAY E G’; on original ribbon. 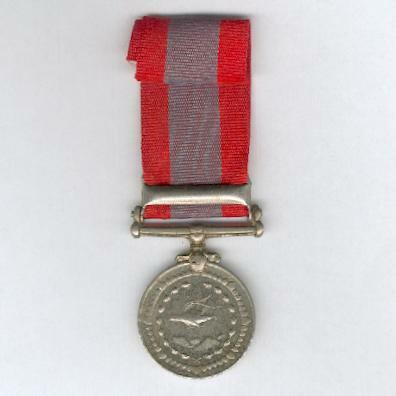 The medal was instituted in 1986 to recognise special military service. 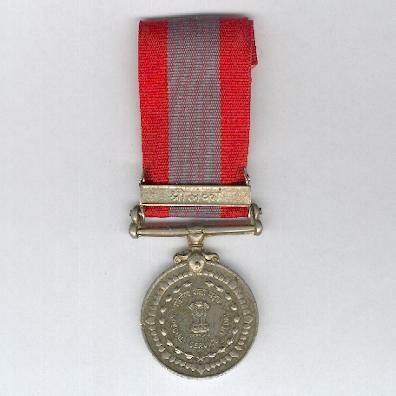 The ‘Sri Lanka’ clasp was awarded for participation in Operation Pawan, a peacekeeping mission in northern and eastern Sri Lanka, from 1987 to 1990. 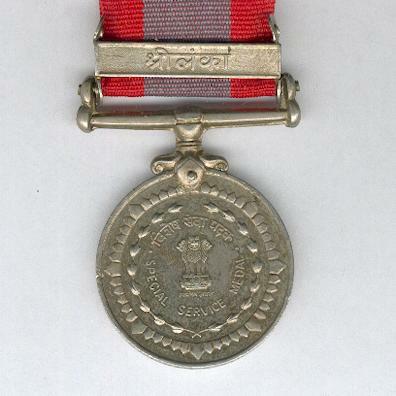 To date, this is the only clasp awarded with the medal.